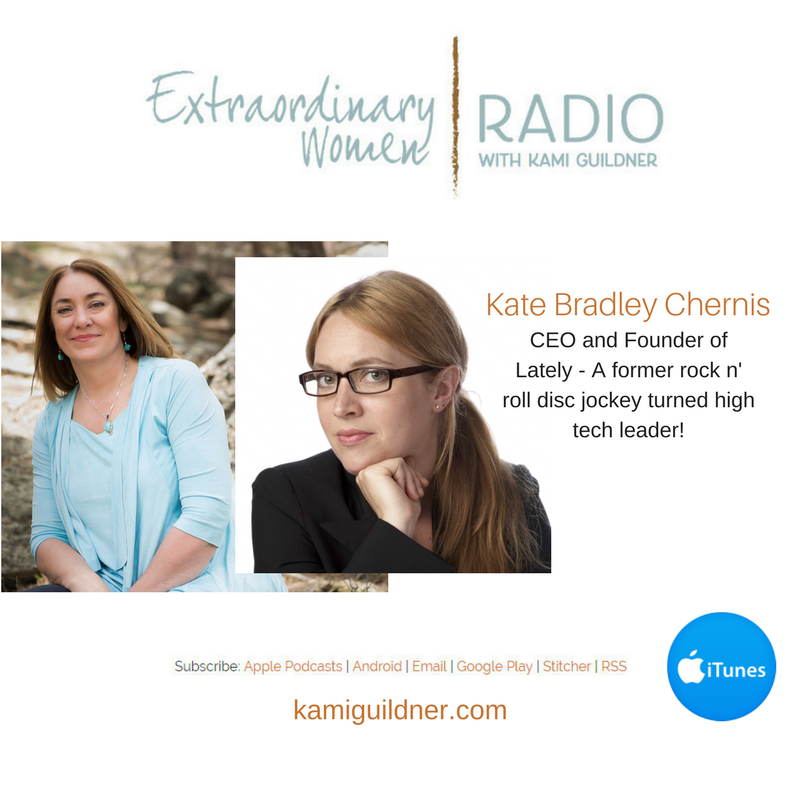 Today’s Extraordinary Women Radio interview is with Kate Bradley Chernis, the Founder & CEO of Lately. Kate is a former rock ‘n roll disc jockey turned tech CEO, and she’s as real as they come! Kate shares what it was like to raise $2.2 million in the tech world as a woman, and gives some good advice to my listeners who are raising capital. We talk about marketing that creates real connection and community in business. Kate shares how she listens to her intuition and how important it is to just show up as ourselves. It’s a fun interview and I know you’re going to love this! In fact, Kate found similar success with all of her clients, regardless of industry or company size. So, along with one heck of a superhero team, she created Lately to organize the mess, automate repetitive processes and eliminate the “overwhelming” feeling that every marketer she’d ever met had complained about. As a former VP of marketing – I get this. As a CEO of my own company – I really get this. I love Lately. To learn more about Lately, visit their web site at www.trylately.com, or follow them on Facebook or Twitter. Follow Kate on Facebook, Twitter or LinkedIn. Let’s meet Kate Bradley Chernis of Lately.